UPDATE: Five sold in total, 4 at the exhibition and one direct! 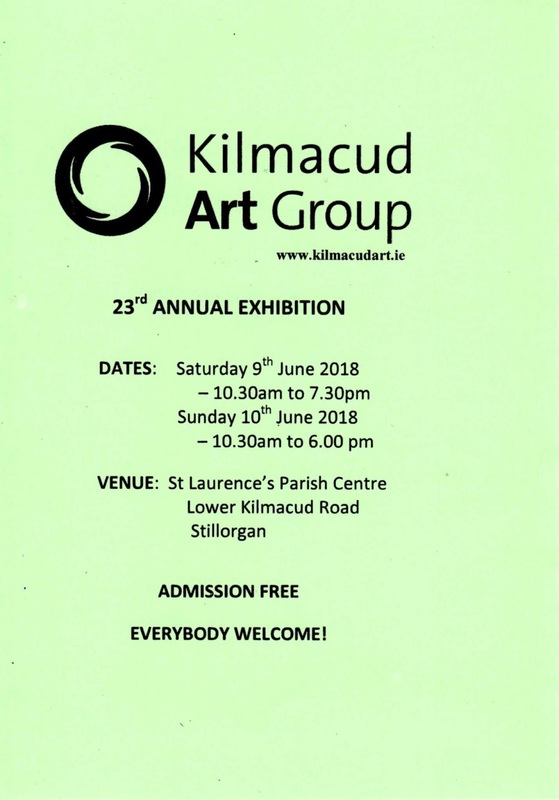 Put the date in your calendars : Friday 8 June 8pm: opening of the Kilmacud Art Group Exhibition! The exhibition will be open on the 9th and 10th of June too. You are very welcome to the opening on the Friday evening at 8pm. 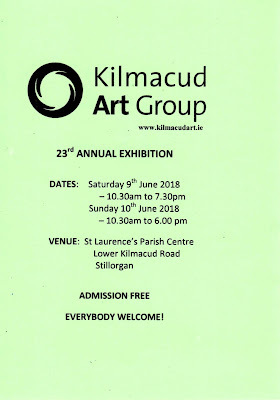 It will be at the Kilmacud Parish Centre, behind the Millhouse pub in Stillorgan. Lots of beautiful art in a variety of styles! Here are the pieces I will be showing. Contact me if you want more information on sizes and pricing, and if you would like to view the work before the exhibition, or reserve a painting. All are watercolour, painted with high-quality pigments on acid-free watercolour paper. I will also have a few other pieces that may not be in the exhibition, but which are available for sale. I also have a few unframed acrylics - they don't photograph very well, so let me know if you want to have a look at them.